Aqua Fit customers and volunteers both agree, water therapy and aquatic exercise gets the big thumbs up for the role it plays in increasing mobility and improving limiting physical conditions. The Aqua Fit team is made up of Gladstone Community Linking Agency (GCLA) employees and volunteers who report equally as much satisfaction from their work as the customers who participate. “Cheryl and I decided on our retirement from fulltime work to volunteer within the community. Our own philosophy is one of maintaining a healthy and active lifestyle and having an interest in swimming, engaging and assisting others in low-impact water resistance training seemed like a good fit for us. 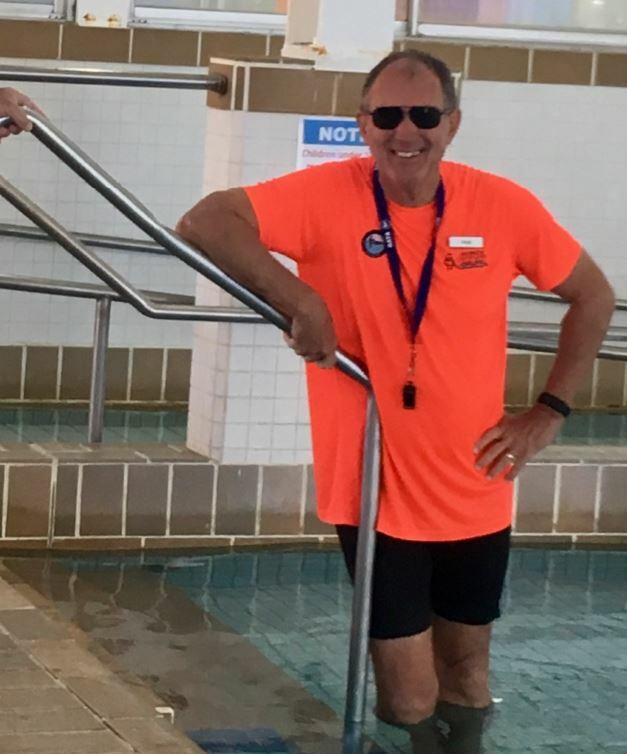 Aqua Fit customers attribute their ongoing enjoyment of the service to the individualised exercise and therapy programs, the happy and enthusiastic Instructor and the helpful and friendly team. Although the great food and socialising were a common theme with customers as well!